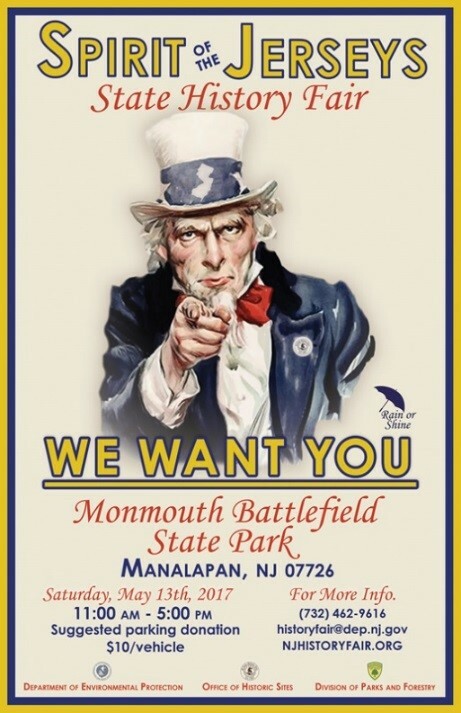 (17/P41) TRENTON – New Jersey’s rich and diverse history will be showcased during the 13th Annual Spirit of the Jerseys State History Fair this Saturday, May 13, at Monmouth Battlefield State Park in Manalapan Township, Monmouth County. “The Spirit of the Jerseys History Fair provides the public with a wonderful opportunity to experience what life was like throughout important stages in our history, and to understand the contributions major figures and everyday people from many cultures made to our history,” Department of Environmental Protection Commissioner Bob Martin said. The fair will be from 11 a.m. to 5 p.m. and will be held rain or shine. Admission is free. A $10 per vehicle parking donation is suggested. 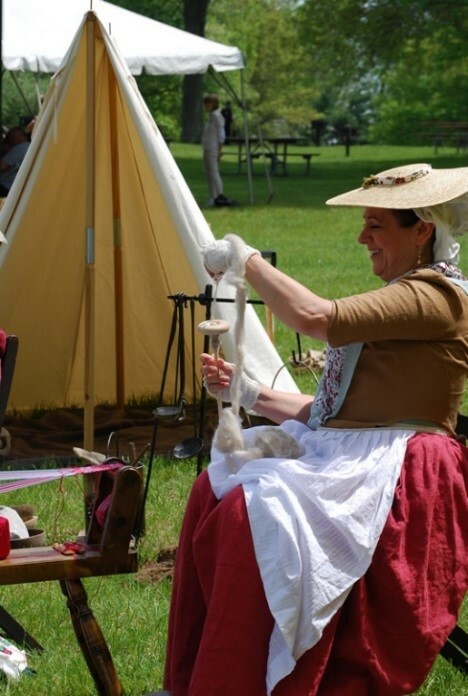 This year’s fair features re-enactors from the French and Indian Wars, the Revolutionary War, the Civil War, World War I, World War II and the Vietnam War. Special features include live performances of music from the Civil War and World War I periods, 18th century and Lenape cooking demonstrations, 19th century baseball, 19th century photography, Colonial period brewing, and a program on Ann Baumgartner Carl, a New Jersey resident who became the first American woman to test-fly experimental planes during World War II and the first woman in the world to pilot a jet plane. More than 160 exhibitors and re-enactors are coming from across the state as well as from Maryland, Connecticut, Delaware, Pennsylvania and New York. As the site of one of the most pivotal battles of the American Revolution, Monmouth Battlefield, with its rolling farmland and hedgerows, makes a fitting backdrop for the fair. Activities at the State History Fair can help fulfill badge requirements for Cub Scouts, Boy Scouts, Brownies and Junior Girl Scouts. In addition, elementary school and secondary school social studies teachers who participate in fair activities have the opportunity to earn three professional development hours. For more information on the State History Fair, including a full listing of events, food menus and directions, visit: www.njhistoryfair.org.